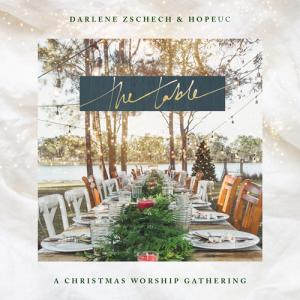 Darlene Zschech has released “The Table: A Christmas Worship Gathering” through Integrity Music and all songs are now loaded into WorshipTeam.com “The Table: A Christmas Worship Gathering” is a recording of some great new songs. 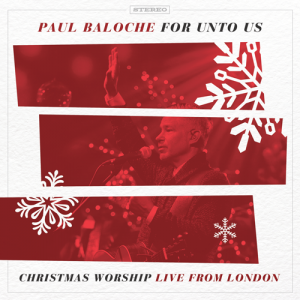 With a view of “the table” as a holiday gathering place, Zschech and HopeUC welcome listeners to a Christmas worship celebration with a warm, organic collection of Christmas classics and original songs, weaving a vertical posture of praise throughout. Known for penning “Shout To The Lord,” “Victor’s Crown” and “Worthy Is The Lamb” among other favorites, Zschech has a deep conviction about the role of community in the lives of Christ-followers and as a beacon to the lost. This ethos of welcoming all to Jesus while “building longer tables and lower walls” carries throughout the HopeUC family, pastored by Zschech and her husband, Mark. For Zschech, The Table is not only an invitation to join in worship of the Savior and a call to welcome others, it is a celebration of the home she and Mark have found at HopeUC, which now includes nine church campuses spread across Australia, India and the U.S. Zschech not only co-pastors HopeUC with Mark, she also mentors young leaders around the globe, including HopeUC worship team members who appear on the album. All of this adds up to a full plate for this mother and grandmother who, three years after being diagnosed cancer-free, has also penned a book, “The Golden Thread,” about the goodness of God in every season of life. Michael Farren has released “Fighting For Us” through Integrity Music and all songs are now loaded into WorshipTeam.com “Fighting For Us” is a recording of some great new songs. A crisis of faith isn’t something Michael Farren, a worship pastor and Dove Award winning songwriter and producer, ever expected to experience 25 years into his walk with Christ. But two years ago, this son and grandson of Baptist preachers found himself in the middle of the “darkest season” of his life. So Farren, who has penned songs recorded by everyone from Lauren Daigle to Reba McEntire, began writing the songs he needed most at the time. Those songs – folksy, Americana-tinged modern hymns and laments – became Fighting For Us, Farren’s first solo album, available globally October 5 through Integrity Music. Farren, who is the former front man for the worship band Pocket Full Of Rocks and a worship pastor based in Franklin, Tennessee, says recording an album was never on his agenda. After Pocket ceased recording and touring, Farren settled into his role at his local church and continued doing what he loves most – writing for his own congregation. In addition to guest writer Krissy Nordhoff, Fighting For Us includes songs co-written with Matt Redman, Hank Bentley, Corey Voss, Dustin Smith, Tony Wood, Alisa Turner and Ben Shive. The project also features a version of “Come Alive (Dry Bones),” a song that Farren co-wrote with Lauren Daigle, presented here with a roots backdrop of banjo, mandolin and pedal steel. David & Nicole Binion has released “Dwell: A Live Worship Experience” through Integrity Music and all songs are now loaded into WorshipTeam.com “Dwell: A Live Worship Experience” is a live recording of some great new songs. Dwell: A Live Worship Experience, a 14-track immersion in Spirit-sensitive, multi-cultural and multi-generational worship. Martin Smith has released “Love Song For A City” through Integrity Music and all songs are now loaded into WorshipTeam.com “Love Song For A City” is a live recording of some great new songs. Integrity Music announces the global release of Love Song For A City, the first live album from groundbreaking British worship artist, songwriter and producer Martin Smith. 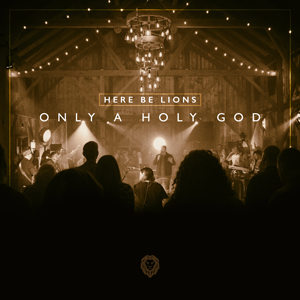 Here Be Lions has released “Only A Holy God” through Integrity Music and all songs are now loaded into WorshipTeam.com “Only A Holy God” is a live recording of some great new songs. Integrity Music welcomes the Nashville, Tennessee-based collective Here Be Lions founded by pastor, worship leader and songwriter Dustin Smith (“God Who Moves The Mountains,” “Miracles”). 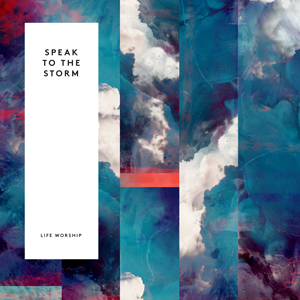 LIFE Worship has released “Speak To The Storm” through Integrity Music and all songs are now loaded into WorshipTeam.com “Speak To The Storm” is a live recording of some great new songs. Integrity Music announces the global release of Speak To The Storm, a new live album from LIFE Worship, the creative arts ministry of LIFE Church, a multi-site congregation based in Bradford, UK, with campuses in Leeds (UK), Belfast, Northern Ireland and Warsaw, Poland. 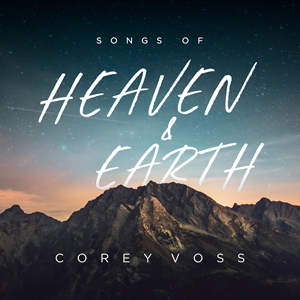 The 13-track album was penned by members of the LIFE Worship team, providing a musical snapshot of the teaching, spiritual formation and community found at LIFE, which is pastored by Steve and Charlotte Gambill. Produced by LIFE Worship’s John Rees and Sem Schaap, Speak To The Storm features team members Aaron Baxter, Jock James, Eby Corydon, Amy Haguma and Matt Hooper (writer of “We Believe”) among others on lead vocals. 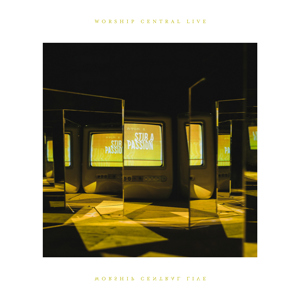 Worship Central has released “Stir A Passion” through Integrity Music and all songs are now loaded into WorshipTeam.com “Stir A Passion” is a live recording of some great new songs. Birmingham, UK-based worship training collective led by Tim Hughes (“Here I Am To Worship”) and Luke Hellebronth (“Spirit Break Out”). The 11-track album, recorded last fall at “The Gathering” conference and produced by Willie Weeks (Passion, Matt Redman) and Jimmy James (GuvnaB, LZ7), delivers songs of prayer and praise, capturing moments of elation and awed reflection from the crowd. From opening track and invocation “Pray,” through first single “All For Love (Gethsemane)” to “Waves” and the benediction of “Hope And Glory,” each song carries the urgency of the title track for more of God’s Spirit and Kingdom in the here and now.